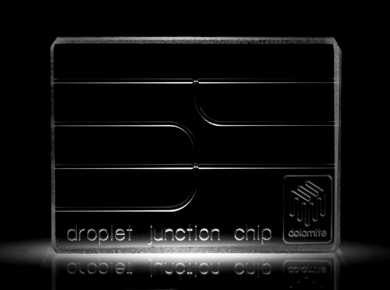 Droplet Junction Chips from Dolomite Microfluidics are adapted across diverse researches at University of Birmingham. “My research focuses on the effects that surfactants can have on the stability of droplets formed during microfluidic emulsification processes. These emulsions consist of a glycerol/water mixture as the disperse phase and a range of silicone oils, each with differing viscosities, for the continuous phase. Using the Dolomite Droplet Junction Chip with hydrophobic coating enables stable production of aqueous drops in oil. Results obtained using X-junction are published in two recent papers. • Kovalchuk N.M., Roumpea E., Nowak E., Chinaud M., Angeli P., Simmons M.J.H. Effect of surfactant on emulsification in microchannels. Chem. Eng. Sci., 2018, 176, 139-152.